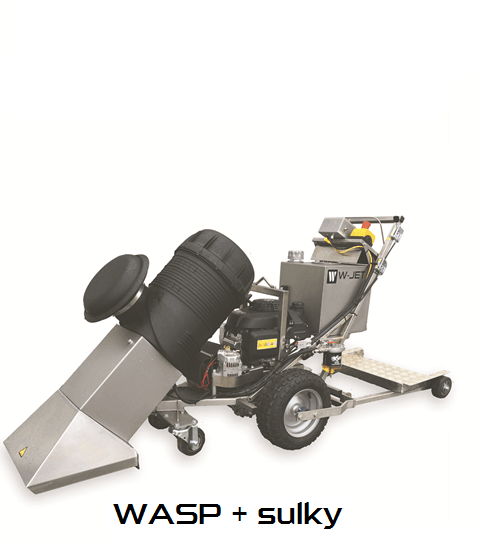 Our Road Dryer Systems, configured with our W-JET M1 Jet power module, replace old compressor and LPG gas technique by an easily handled JET turbine running on DIESEL added 12% additive to ensure smooth operation - in all weather conditions. Waiting times due to bad weather. Transport and handling of dangerous goods. Work time in traffic, hence traffic congestion. ...Our systems also remove moisture and road dirt from the surface to ensure strong adhesion before marking. ...Additionally, and easy and logic operator panel prevents errors. 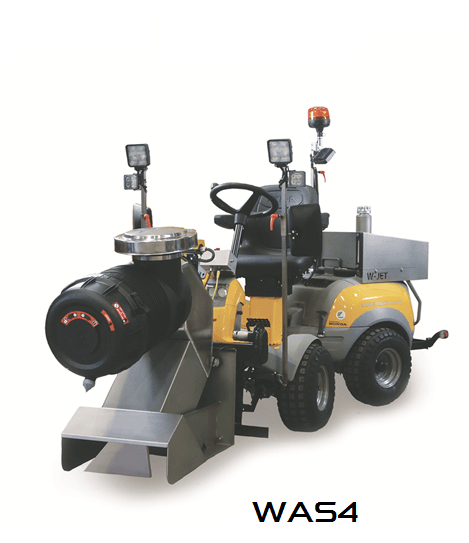 The W-JET System was developed for drying roads without handling and storing dangerous LPG gas, it's ideal for drying and cleaning roads and surfaces before applying new roadmarking, surface dressing, crack sealing, etc., and also great for weed control. W-JET dries out moisture, dust and dirt and by the suns UV light worn-out debris from surface, to ensure strong adhesion for new surfacing. 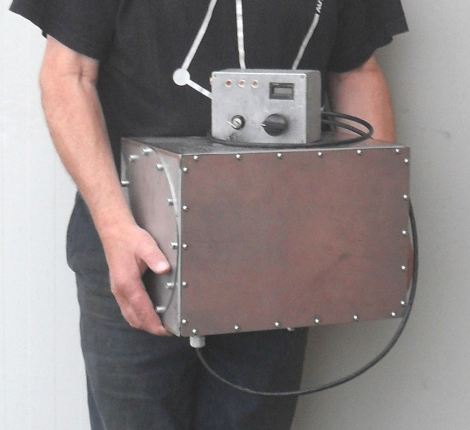 The M1 easy handled automatic operator panel will prevent mishaps, and the strong reliable M1 jet turbine inside sealed stainless casing of just L/W/H 35x25x25 cm and 45 kg, will deliver same capacity as a 1,5 ton heavy diesel compressor and lot of LPG Gas. 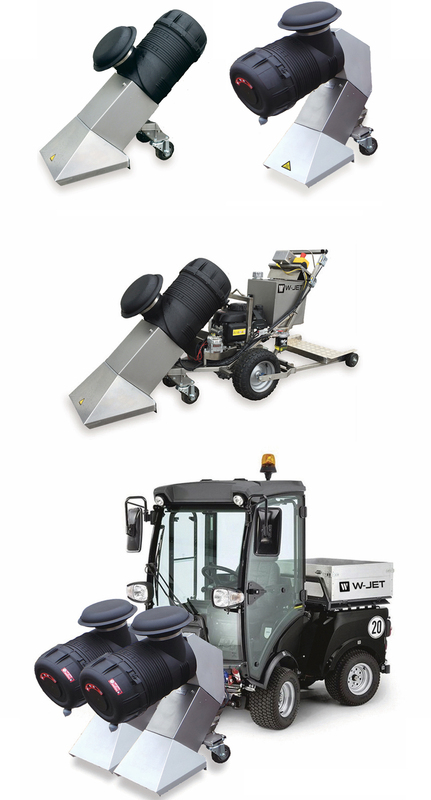 The W-JET dryers are available as self-propelled 2 or 4WD tractors, and a wide range of exhaust system is available for roadmarking, crack sealing, surface cleaning, weed control etc. Read more about W-JET “WASP"
Read more about W-JET “WAS4"
Read more about W-JET “WAT-4"
2) Fuel, valves and pump panel. 4) Air and Fuel sensor system. 5) Several AIR connect options. 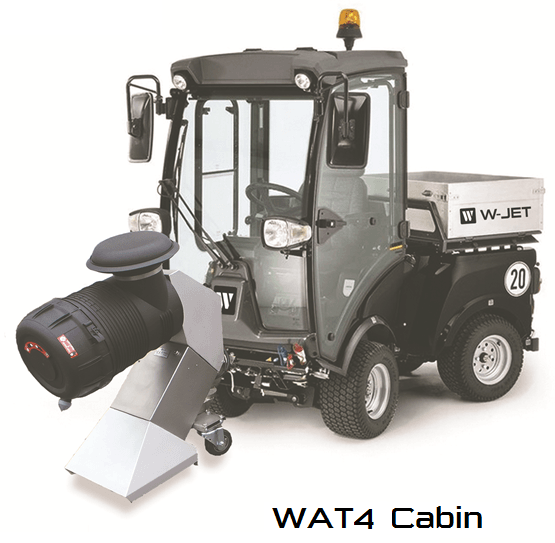 The W-JET “M1” module is designed for mounting on suitable vehicles or machines, capable of the to supply of fuel and electric power. M1 Service: remove the four 8 mm nuts, pack it and send it to us. First service/inspection after 80 hours, thereafter for each 160 hours or once per year, depending on which comes first. After each service we provide 1-year warranty on the jet turbine. The purpose of our Service System is to avoid downtime on the road because of turbine failure, therefore, at each service vital turbine parts may be renewed or changed. 1 year warranty if all W-JET maintenance and service instructions are conducted and equipment only is operated by W-JET instructed operators trained and certified by W-JET supervisor. One-day training with certification of W-JET supervisor included at delivery. In the event of a technical question or problems, W-JET Service is there to help you 24h. Our Service hotline will respond to your call and arrange for rapid, w-jet assistance.